E.Z. 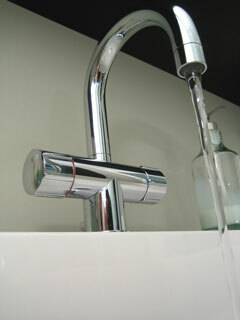 Roth Plumbing has been servicing Southern California’s plumbing & heating needs for over 55 years. Today, our services cover all your plumbing & heating needs. Our objective is to provide fast, efficient and reliable service at a competitive price. We offer FREE* estimates on ALL installations or replacements. Jacob Roth started his plumbing expertise while living in Washington, D.C. While there living in D.C, Jacob’s plumbing profession gave him the privilege to do plumbing service in The White House. Eventually Jacob moved to Los Angles where he founded what today is E.Z. Roth Plumbing, a family owned and operated business that has been servicing the greater Los Angeles community since 1954. Owner Zalman Roth apprenticed for his father at the age of 19. Determined, and after learning the basics and realizing he was a natural, Zalman ambitiously took up plumbing as his career. Since then plumbing has become a passion that still has Zalman, 40 years later, waking up early every morning to see what plumbing challenges he will encounter and overcome. With a thirsty appetite for plumbing, Zalman is constantly learning of new technologies and methods to improve his and his plumbers’ plumbing knowledge and skill. Zalman currently resides in Los Angeles. When not working, he loves spending quality time with his beloved wife, his wonderful children and his 14 precious grandchildren. For entertainment, Zalman enjoys a good surf session, international travel, the great outdoors, camping, deep-sea fishing, scuba diving, meditation, reflection and appreciation on life’s creations & wonders, studying and reading for intellectual pursuit, good company and a good laugh. Having surfed in The United Stated & Hawaii, Mexico, Baja California, Fiji, Costa Rica, Tahiti, Australia, Israel, Tonga, and South Africa, we wonder where Zalman’s next destination is. *nothing in life is FREE! Call us to determine if we can give you a quote at no cost.